There’s a lot of talk about the new Doctor Who – but isn’t there always? I’m open to the new actor playing the Doctor. He looks pretty cool, and I can’t wait to see how his personality will be different. This isn’t to say there’s no apprehension at all, but I’m definitely looking forward to meeting the latest regeneration, even though my heart is totally broken that Smith is leaving. I just know I’m going to ugly cry when I watch it. I’m talking serious ugly cry, snot, puffy red eyes, no dry skin on my face anywhere but my forehead – ugly cry. I did for Tennant, I’m know I will for Smith, hell, I’ll probably do it for Capaldi when it’s his turn. Neil Gaiman has some interesting and promising things to say about Capaldi, as well as what could be done about the ‘regeneration limit’. You can find the post here, it’s not too long and well worth the read (and not just because I fan-girl all over Gaiman(though I can’t deny that comes into play)). I remember last time, when they announced Tennant was leaving and Smith would be the new Who. At the time I had a personal blog(just diary and random thoughts, nothing cohesive, and like most blogs of it’s ilk died within a few months), and I’m pulling a few quotes from some posts I did regarding that subject, as the words still have truth to them. I’m a little worried about they way everyone is behaving towards the new Doctor. I’ll freely admit, I’m worried I won’t love this new Doctor as utterly as Tennant’s Doctor, but the way everyone is talking it seems most people have already decided they don’t like Matt Smith, which I can’t quite figure out, since he’s only been on screen as the Doctor for about a minute so far, so how have people already made up their minds about him? I think it might be like the response of a petulant child when they have to face change. They loved the old toy and rather than actually trying the new one they instantly decide it couldn’t possibly be as good as its predecessor so don’t even give it a chance. It upsets me a little to think that this poor guy has to face lower ratings simply because no one wants to even try and see if the new series will be good. 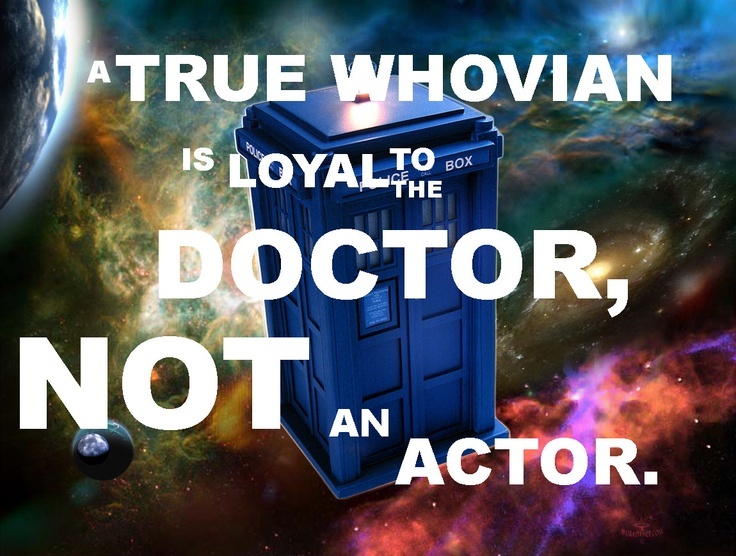 For all we know Matt Smith might be truly amazing. In fact, I’m quite looking forward to him after watching him worry he might have regenerated into a girl because his hair is long. I remember watching Eccleston regenerate into Tennant and wondering who this skinny, metro-looking guy was, but as I came to know him a little better I fell in love with him. I’m very much looking forward to falling in love with Smith’s Doctor too. I still feel the same now, with this new actor. The picture up the top sums it all up for me. And to wrap up, another old post from my personal blog (no, I’ll never link to it, it was shameful and full of pointless rambling (same here you say? Then leave ;p )), about ‘Nostalgia for the future’ a very wibbly wobbly timey wimey concept that relates back to the Doctor’s regeneration. I did like getting a little glimpse at the new Doctor, but I’m still full of apprehension about the new Doctor. I loved – no love, still present tense – David Tennant’s Doctor so much I’m not sure I’ll be able to love the new Doctor as deeply. I’m sure he won’t be horrid, no casting agent would be silly enough to select someone who could not act well, and we’ve already established how I feel about the writers! So we’ll be safe, I’ll like him, but will I love him? The anticipation is almost titillating! 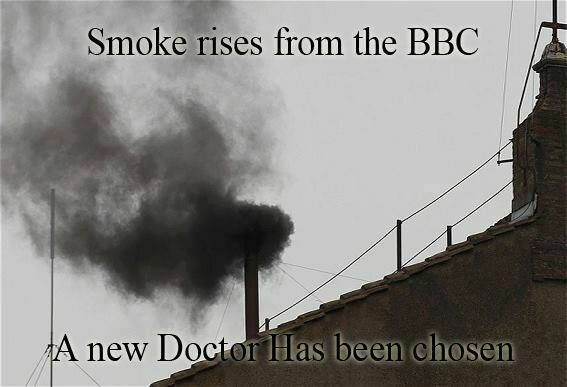 I’ll admit freely for you all, I have only watched the newer Doctors, Eccleston and Tennant. When I was a child I saw an episode of an earlier Doctor, and the Daleks scared my eight year old self so bad I used to rush to the TV and switch it off the second I heard the opening music, an aversion which stuck with me for years until my lovely husband sat down one day almost two decades later and asked me: “Have you ever seen the Doctor?”. Together we’ve been hunting down dvd’s of the older episodes so I can watch them and hopefully love the older Doctors also. I’m looking forward to stumbling across the episode that terrified me as a child. Nostalgia for the future. How unique. How the Doctor.